The following video was shot in 4K with 30fps (max. frame rate). Both cameras were mounted on the same clamp to ensure the vibrations & concussions are the same for both cameras. Both cameras were set to auto, also auto color (not ProTune or Flat Color on YI) as I wanted to avoid setting one camera better / different than the other one. That’s basically a test just out of the box. The images above are frame grabs of the 4K footage. Hero5 image is a bit sharper and the colors are a bit more vivid. The images above are frame grabs of the 1080p footage. Despite the fact that YI 4K’s FOV is narrower on 1080p with image stabilization switched on, the colors seem a bit warmer and Hero5’s image is a bit too bright around my face. I definitely have to do some more tests to get a better picture about the picture. After some testing (I will download more videos on my YouTube Channel later) I’m not quite sure which camera I like best. Sometimes the YI 4K videos look better (a little softer & warmer) and sometimes the GoPro Hero5 black footage looks better (sharper). In general image stabilization on both cameras is an electronic image stabilization and therefore not available in 4K. In contrast Sony FDR-X3000 offers optical image stabilization which is available in 4K. As for GoPro Hero5 vs YI 4K image stabilization is not available in a frame rate higher than 60fps. It appears that the field of view (FOV) of YI 4K is narrower than GoPro HERO5 when in 1080p and image stabilization switched on. Compared to the first video in 4K FOV seems to be the same. It’s also a tough to call a winner, I think that Hero5’s 4K footage (even tough not electronically stabilized) and the stabilized 1080p footage is a little bit better. Let me know what you think in the comments below. GoPro HERO5’s audio quality is superior, a different level. During my Motorcycle Mount tutorial GoPro HERO4 showed by far the best results comparing to many other cameras. In fact the only camera where the engine sound was clearly visible. Back then the cam was placed inside the housing which shielded wind noise. Now HERO5 does a way better job, even without a housing. In the video above I used Hero5 just with the frame (which is included) and placed YI 4K into the underwater case. Audio while talking might have been better without the housing, but definitely worse during the ride. So hard to find the best comparable situation. GoPro HERO5 black holds 3 microphones and selects the best audio stream automatically. You can also choose manual audio control to fine-tune audio. As I’ve been ask so many times: An external microphone is not available for YI 4K, as it doesn’t work with microUSB. 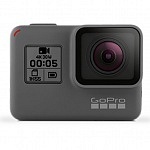 GoPro Hero5 black uses a USB-C port and can be connected with an external mount using an adapter (sold separately by GoPro) be aware it’s not mini USB anymore! Following photos I took in .jpg and are unedited, straight out of the camera. Auto was chosen on all settings so I don’t tune one camera better than the other. YI 4K seems to be a bit softer & warmer. GoPro Hero5 offers RAW photo. YI 4K will receive this feature soon after a firmware update. You can download the original files from my Google Drive. I personally like the YI 4K menu, where you can set the data within the normal photo mode. On GoPro Hero5 black you first have to enter the special night photo mode. I like the result of both cameras, although I got different results with the same settings. Both pictures were shot at ISO 400 with 20sec exposure. Hero5 automatically adds saturation to make the picture look more vivid, as YI 4K is a bit more natural and warmer. The display of YI 4K is a bit larger (2,19″) compared to GoPro Hero5 black (2″). Live view on screen appears to be a bit more vivid on Hero5 than on YI 4K. You can compare the result in the segment photo quality. Touch display of YI 4K has a better response, up to now I think I never had to press a selection twice. GoPro Hero 5 black is 10m waterproof, so is the display. Therefore it might be a little less responsive I often have to press a selection twice. When the display is wet it is even a bit harder to control. 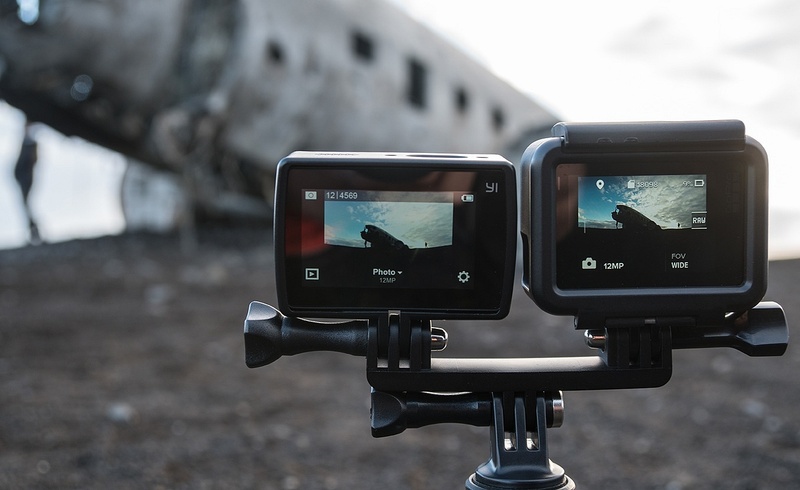 GoPro Hero 5 black also features a front LCD display which the current settings shown. To be honest I haven’t looked at this display up to now. 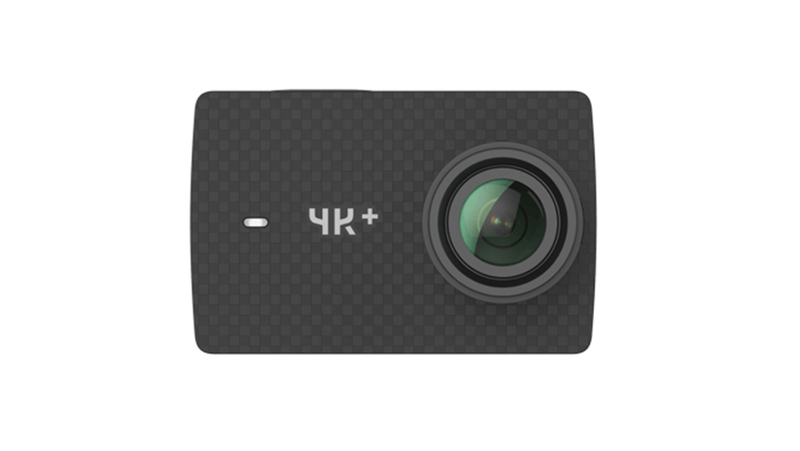 So far I prefer the menu structure of YI 4K action camera. I think it is easier to navigate: in an overview you’ll see all options available whereas GoPro splits it into video / photo / time-lapse. So you have to press twice to get to your desired mode. Although GoPro has a 2nd button on the side to circle the modes. On YI 4K i especially like the “swipe down” menu which is a bit like the iPhone menu which you pull up. You get a nice overview which connections are switched on to easily select and save power when not needed. Hero5’s swipe down menu shows GPS & Voice control, but not wireless connections. There you can also find the preferences which show the basic settings such as NTCS vs PAL. When swiping left to right you will get to the Audio and Image (ProTune) settings. From my experience using both cameras, the YI 4K battery lasts way longer. I use both cams equally with all wireless connections turned off. Usually the GoPro Hero5 black’s battery is empty when the Yi 4K battery isn’t lower than 15% (red light). Additionally I used the YI 4K more often in the past, so the battery already had some loading cycles. The battery of YI 4K is 1400 mAh whereas GoPro Hero5 is 1220 mAh. Voice Control is a nice feature, especially handy when you do selfies as you don’t have to connect to your phone or a remote. When shouting “GoPro take a photo” the camera takes a picture moments later (so you are not photographed during shouting). Be aware when with a group of other tourists as they are not familiar with it and will give you a strange look :). YI 4K will receive this feature soon, they are currently testing it with beta users. 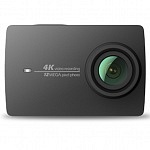 This was announced during the launch of YI 4K+ (an upgraded version offering 4K at 60fps). Hero5 black being waterproof without case is a really handy feature when operating in wet environments. In Iceland it was slightly raining almost daily. It is very convenient when you just put out the cam and don’t have to care about the case. No fogging, no taking out to do settings changes. On the downside the screen is not as responsive as YI 4K. 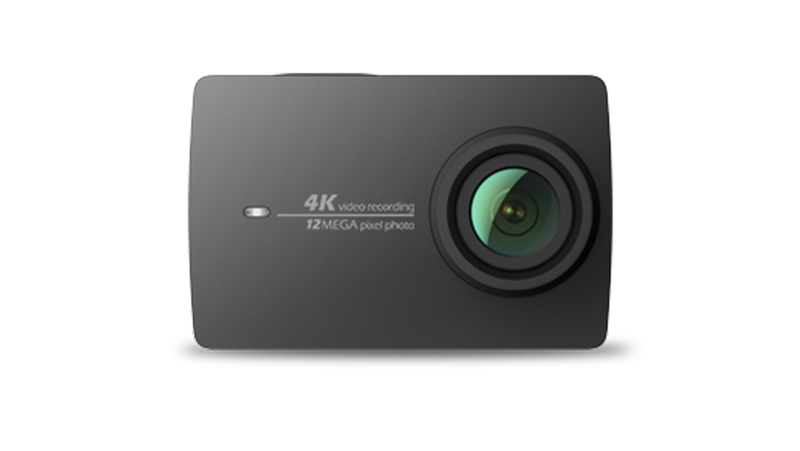 Yi 4K+ was announced at CES Las Vegas 2017. It’s the first action camera to shoot 60fps in 4K resolution. Here’s my review. Since it is an upgrade for YI 4K I included the data here as well. 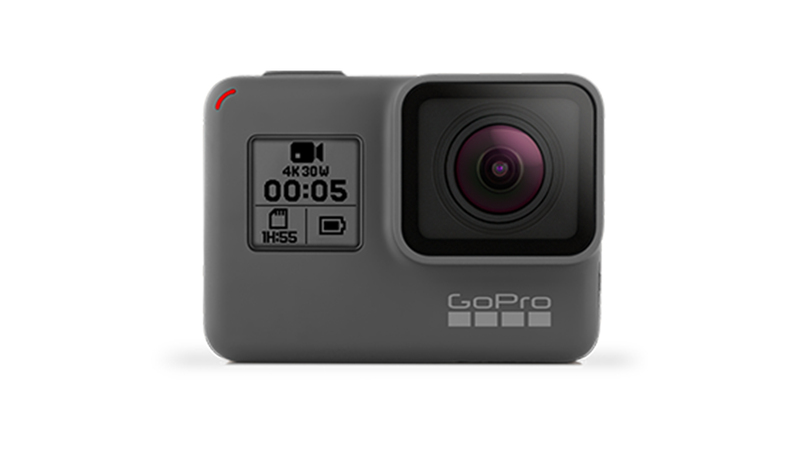 * I’m not sure which sensor is used in GoPro HERO5 black, I assumed it is the same as in YI 4K – Sony IMX377. This teardown from hypoxic states it is the same IMX117 used in Hero4 black. I also heard that different sensors being used. ** I currently don’t know if A/V out via USB-C is possible/available for YI 4K+ or GoPro Hero5 black. 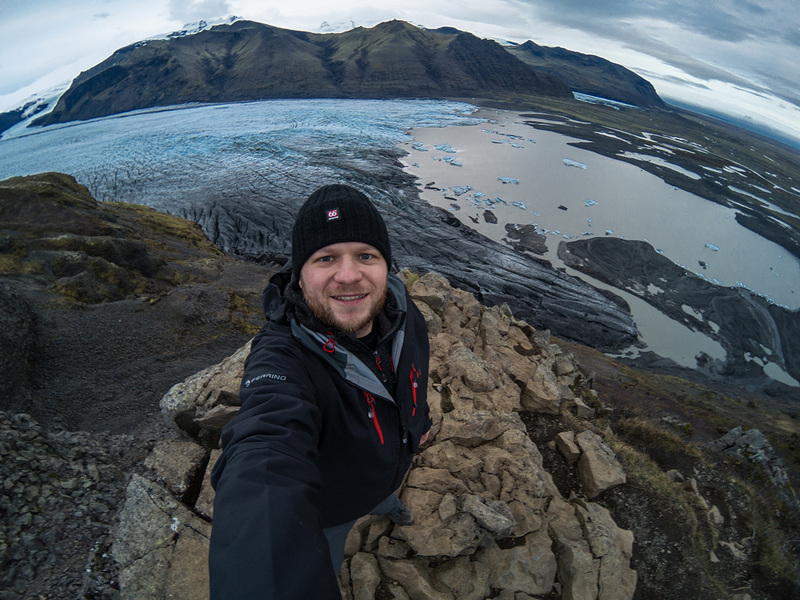 *** RAW photo and voice control being upgraded via firmware on YI 4K Action Camera. I can’t decide which one is better. Sometimes I prefer the GoPro HERO5 image, sometimes the YI 4K footage. Depends on the light situation which one is best suited. HERO5 is a bit sharper, whereas YI 4K is a bit softer and warmer. That’s of course with auto settings, not Protune or YI Flat and edited afterwards. Audio is outstanding! Better than on any other action camera I had before. GoPro Hero5 black has 3 mics and chooses the best audio stream and filters wind noise very good. That’s the cam to go for when audio is important to you. Waterproof without case is such a great feature I wouldn’t have expected it to be such an important factor. Currently I’m traveling and it is raining a lot. You don’t have to care if you should take a housing or not, just take the camera and you are ready to go. While you still can access all settings very easily. GPS it’s nice to have, but not a must. For some activities it’s great to show speed and G-Force. Battery life is really awesome on YI 4K. I am constantly down to 1% on Hero5 black, when YI 4K is still way over 15% (when the indicator light turns red). Even tough the Hero5 battery is brand new and I loaded my YI 4K battery several times. I turned off all features on Hero5 (voice control, GPS, wifi, Bluetooth,…) still it runs out first every time. Display if waterproofing is not needed I prefer the YI 4K screen & menu. Not only it is larger, the response is also better and I prefer the menu structure. 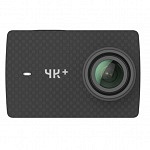 Price that’s probably the biggest plus as Yi 4K is almost half the price of Hero5. Want to discuss these cameras with other users? Please subscribe to my YouTube Channel, so you don’t miss updates.